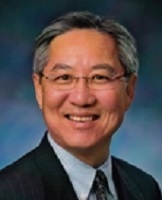 Michael Chin began his career in the financial services industry in 1979. He received his designation as a Chartered Life Underwriter (CLU) in 1985 and as a Chartered Financial Consultant (ChFC) in 1988. He is a Qualifying and Life Member of the Million Dollar Round Table. Michael is a past President and a member of the National Association of Insurance and Financial Advisors – Fresno, and was the recipient of the John W. Olmstead Award for outstanding service in 1997. He is experienced in assisting clients, offering a broad range of financial and business solutions, including life insurance, estate planning and fee-based wealth management services. A graduate of California State University, Fresno, Michael is active with New Hope Community Church, United Cerebral Palsy of Central California, Fresno State Bulldog Foundation and Sigma Chi Fraternity Alumni. Michael has received numerous industry awards and is a member of The Equitable’s Hall of Fame. As a Wealth Manager, Michael is supported by a team of financial specialists, including accountants, attorneys and portfolio managers, who assist him in providing clients with professional solutions to effectively align their wealth with their individual goals.